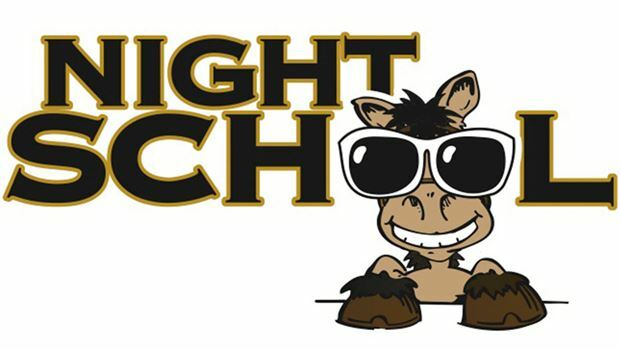 Night School, the racing industry’s national online fan education program, conducts its second annual Racing Town Hall Meeting in Tuesday night’s 38th lesson of the 2013 season. The gathering of industry movers and shakers begins at 8:30 p.m. ET and will offer fans and horseplayers a chance to interact directly with the policy makers. – Erich Zimny, director of racing for Charles Town Races. The inaugural Racing Town Hall Meeting in 2012 remains available for archive view (http://tinyurl.com/lyu449v) and included the likes of Breeders’ Cup-winning owner-breeder Satish Sanan, NTRA president Alex Waldrop, Maryland Jockey Club president Tom Chuckas, HRTV executive producer Amy Zimmerman, and Horseplayers Association of North America president Jeff Platt, among others. Night School is offered every Tuesday for 40 consecutive weeks through Dec. 3. Topics change weekly, and fans are eligible for prizes and rewards for registering. Registration is optional and free. There is never a charge for taking part in Night School. The weekly program is offered in three media: live chat via the Cover It Live blogging/chat forum, audio/radio streaming and full video lesson plans. The media of delivery is based on the subject matter and alternates throughout the season. This week’s Night School will be followed at 10:00 p.m. ET by the “After Night School Special,” featuring live racing from Mountaineer Park. The segment will cover the evening’s final two races in real time with free, live-streaming video. Fans wishing to take part in the Mountaineer action simply need to remain in the Night School chat after class. Complimentary past performances are available, courtesy of BRIS.